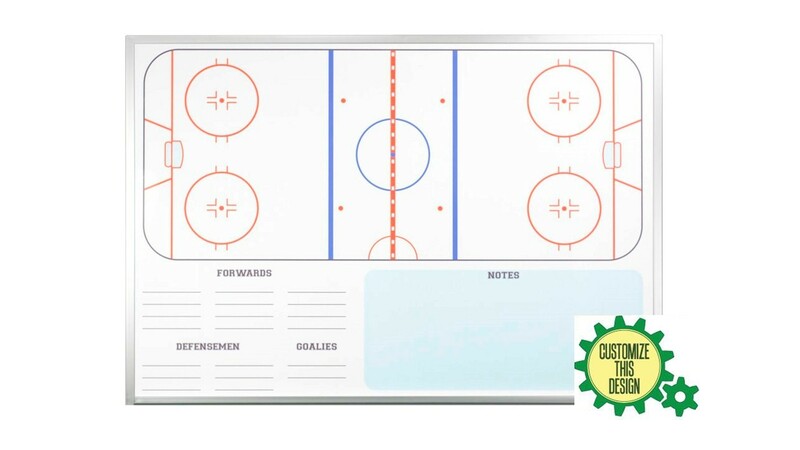 Our larger wall mounted ice hockey dry erase board is perfect for any locker room. 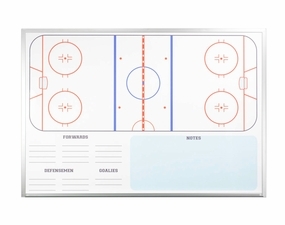 A more economical non-magnetic hockey board compared to our magnetic option. 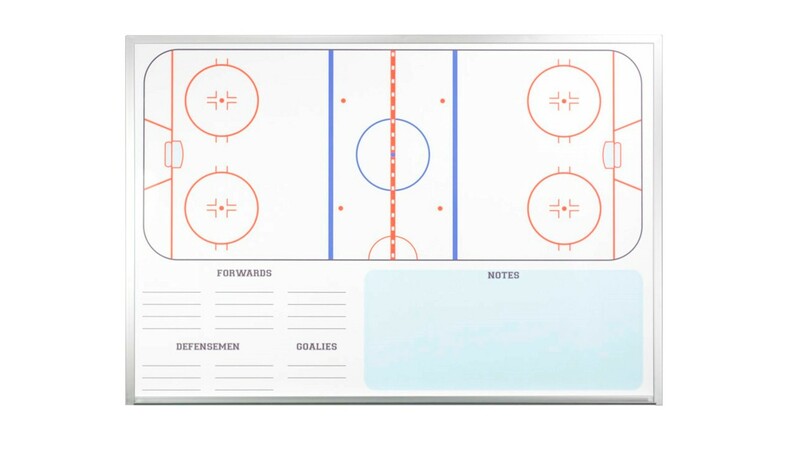 We found that a lot of coaches don't want to use magnetic accessories and they don't want to pay the higher price for a magnetic receptive board? The nice part is that these non-magnetic versions have the exact same image and the exact same awesome dry erase writing surface as the more expensive magnetic board. You just can't use any magnets. 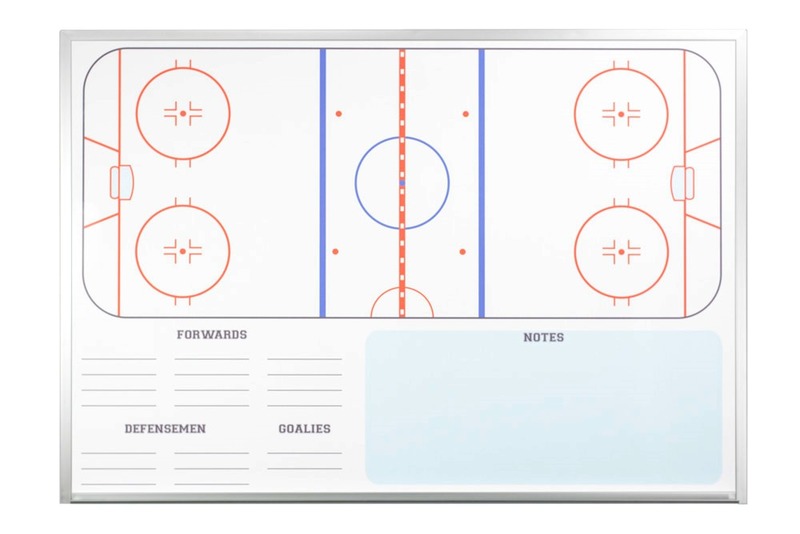 Board shows an image of a full sized ice hockey rink designed to scale along with a section to list your players and their position. There is also a good sized notes section with a slight blue background. 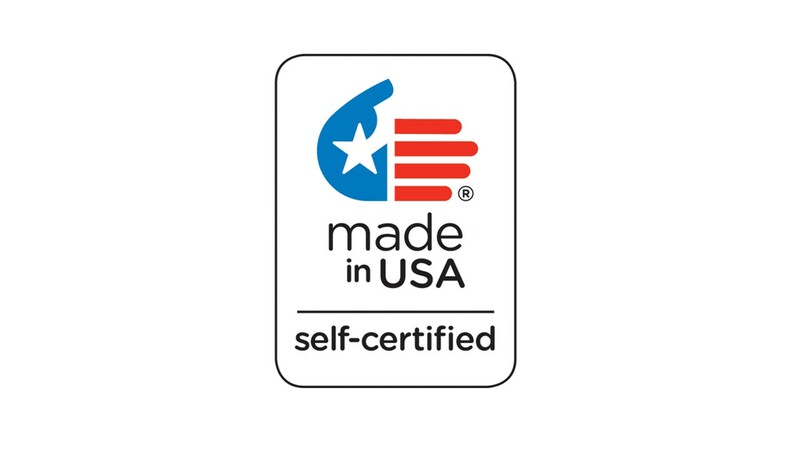 Use either damp erase or dry erase markers and this design can be customized to your specifications through customer service. Wall Mounted Ice Hockey Board UPS* 15 lbs.